Shaker chair, bought in part because we passed a chair up while on our shaker road trip–although it wasn’t a real Shaker chair, we had felt kind of disappointed we didn’t buy it. This one will come in handy with our upcoming exhibition in January! 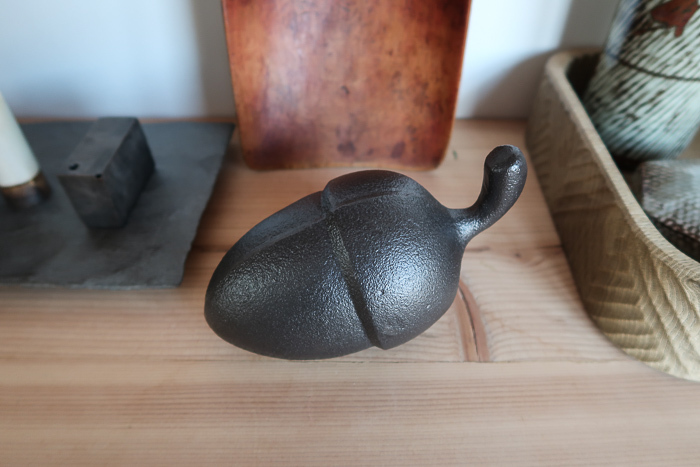 Cast-iron Doorstop Acorn by Eva Shildt and Maja Sten. 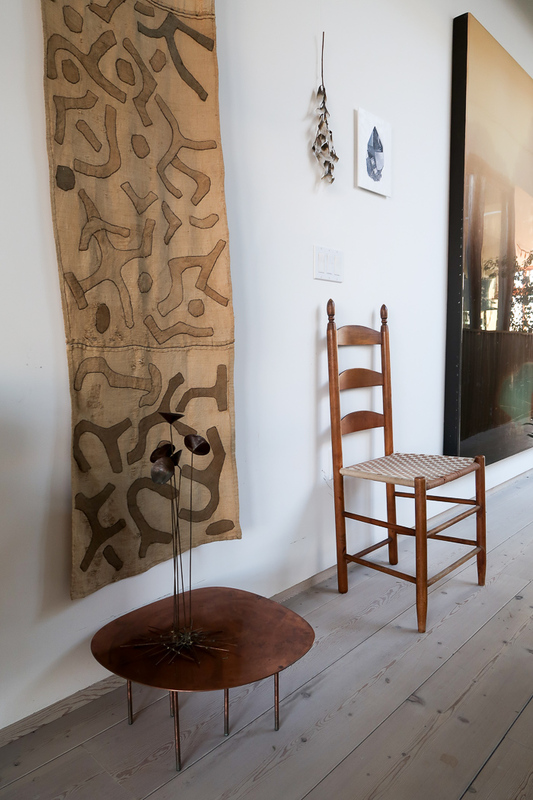 We admired this piece when interviewing Eva Shildt in her home. 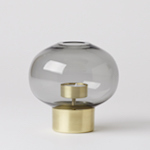 The gorgeous brass Plate Moondrop in the foreground, by Ingegerd Råman. Howell is obsessed with this piece, and keeps getting his little fingerprints all over it. 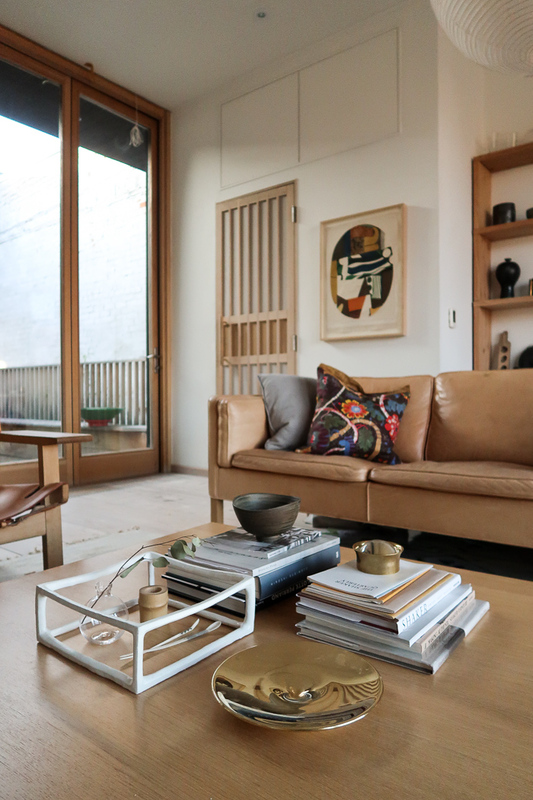 In case you’re wondering, yes, the coffee table always has these objects(or some iteration) on it, and mostly the children pay no mind. We just have to be mindful when they are feeling some big feelings…then we have to batten down the hatches so to speak.